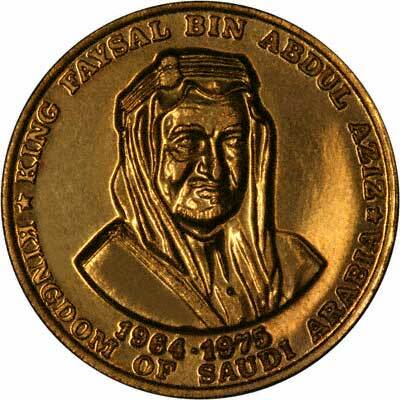 Saudi Arabia was formed in 1932 by the amalgamation of the smaller states of Nejd, Al Hasa, Hejaz, and Asir. 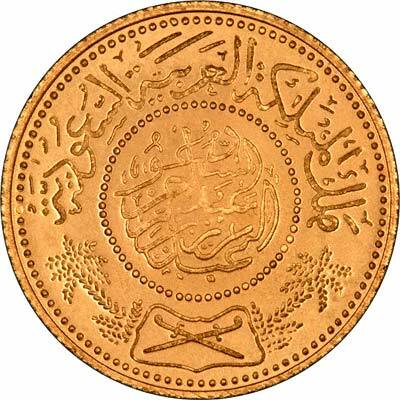 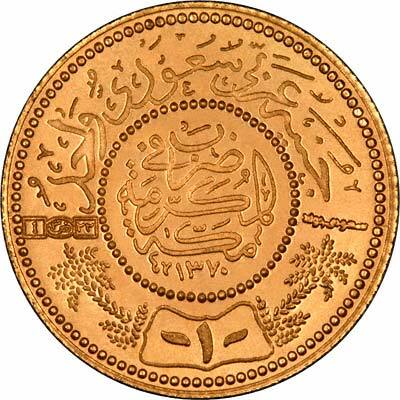 Only a small number of different gold coin designs, five, have ever been issued by Saudi Arabia. 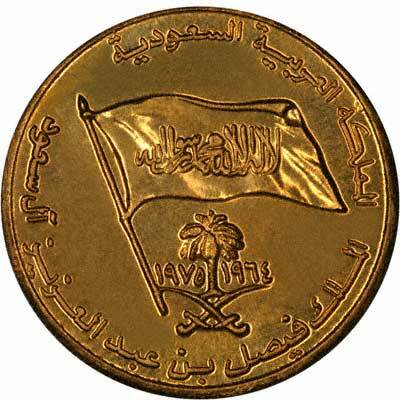 The Hejira date 1370 is from October 13th 1950 to October 1st 1951. 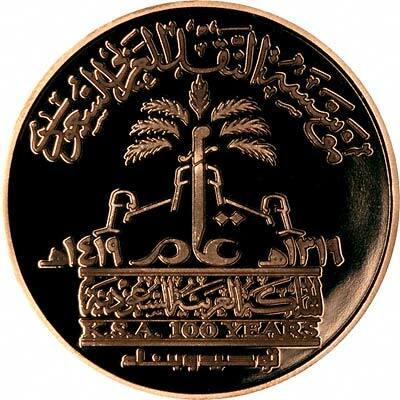 Technical specifications of the most frequently encountered Saudi Arabian gold coins. 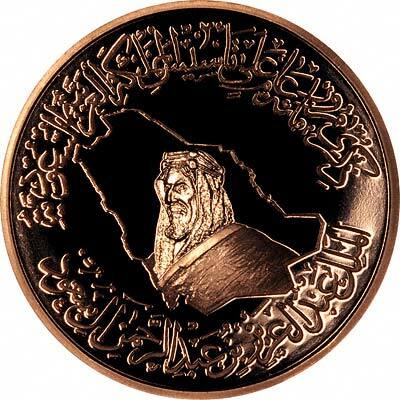 For silver and base metal coins of Saudi Arabia, please look at our original Chard Coins website.